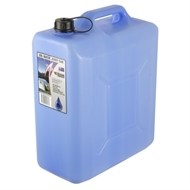 AdVenture Products water storage containers are the perfect solution for carrying a reliable supply of potable water to wherever your travels take you. Outdoor Living Great ideas for outdoor privacy There are some really simple things you can do outdoors to create a private garden retreat, and by doing it yourself you'll save a lot of money. Outdoor Living What you need to entertain outdoors With longer days and warmer nights, now is the perfect time of year to entertain outdoors. Outdoor Living How to create a modern D.I.Y. outdoor entertaining area If you have any wasted space outdoors, then a great way to utilise it is by building a modern outdoor entertaining area. Outdoor Living D.I.Y. wooden pallet wine bar This rustic-looking pallet bar will look great in your backyard or your home when you’re entertaining family and friends. Outdoor Living How to make a D.I.Y. bike rack Rather than cluttering up your garage or backyard, you can build this bike rack and keep your bikes safe and organised. Outdoor Living Nine autumn outdoor D.I.Y. projects Autumn is a great time to get outside and get some D.I.Y. projects done. Here are a few things you can do before the winter months hit.